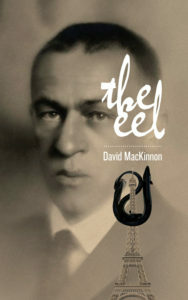 David MacKinnon should be a household name in households where literature holds sway. Trucks groaning under the weight of boxes of his books should be making their way to campuses across the country each fall, as serious English professors make his novels required reading for skulls full of mush, in hopes of transforming them into sleek, high-functioning circuitry. MacKinnon is brilliant. I became acquainted with him in 2012 when I stumbled across LEPER TANGO, which literally changed my life. Now, with the publication of THE EEL, he has done it again. To use [Cendrars] as a propelling theme, as an object of fixation, is a gutsy move. MacKinnon demonstrates here that he is more than up to the task. MacKinnon channels a seamless collaboration between Lawrence Durrell and Ernest Hemingway with prose that will haunt, startle and, yes, entertain you. It doesn’t get any darker, funnier or better than this. THE EEL is chock full to the brim with greatness. It’s a full assault on the temporal lobe of the reader. One goes from tidbits of European history and reference to the narrator’s abuse at the hands of clergymen to mentions of Dostoyevsky with a nod to Erica Jong, and from what is either an LSD trip or unvarnished reality (I’m still not sure which) to eyewitness accounts of the two world wars. And that’s just the start. This is not a book that you’ll bring to the beach in the closing days of summer or that you’ll read on the train between stops. MacKinnon’s orderly description of the chaos of contemporary life demands quiet, adequate lighting, a beverage of your choice, and your undivided attention, all of which will be rewarded one-hundredfold by what you will encounter within. You may read the novel any way you wish, of course. What worked for me is to carefully peruse one chapter at a time, with an interlude for undertaking other activity, and then returning to it. It is not a dense book by any means, and MacKinnon, however improbable this may seem, covers a great deal of ground in (relatively) short bursts. He is one of those rare authors who makes one feel much more intelligent for having read what he wrote. That’s precisely the case with THE EEL, which uses the life and work of the French author and poet Blaise Cendrars as its linchpin. “Cendrars” was a pen name, and autobiographical information, which was submitted by Cendrars, was probably riddled with falsehood. Jack Fingon, the failed author who narrates this book, is obsessed with Cendrars, to the point where he is hellbent on seeing that Cendrars’ last request be performed. That would be burying his ashes in the Sargasso Sea. I knew next to nothing about Cendrars, the Sargasso Sea, or eels, which play a pivotal part in all of this, but I am richer now for the knowledge. Fingon tells all, a reliable if extremely erratic narrator who tells his tale somewhat out of sequence while moving ever forward, unconsciously mimicking the personality of the target of his obsession as he discovers that there is much more involved to fulfilling Cendrars’ request than he had ever imagined. And as Cendrars is shadowed by Fingon, so too is Fingon infused with the life details of his own creator, whose life echoes through the book from first page to last in a manner that I’ve rarely encountered. I recommended THE EEL to a friend whose response was to the effect of “Cendrars makes me nervous.” Understood. Cendrars is one of those artistes who has influenced many but is known by few. To use him as a propelling theme, as an object of fixation, is a gutsy move. MacKinnon demonstrates here that he is more than up to the task. Joe Hartlaub is senior writer/reviewer for Bookreporter.com. 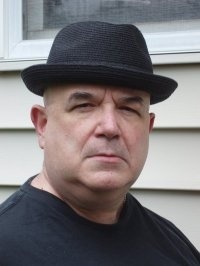 and an entertainment attorney specializing in music and publishing, Joe has had a number of short stories published in the crime and horror fields and is an actor, having had a supporting role in the critically acclaimed film LA-308.